We came here to get my Mom a vehicle. 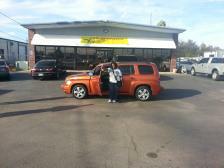 We were greeted by Ellen, she was absolutely wonderful, friendly, not like an average car sales associate. We were able to get the vehicle we wanted at a great rate. 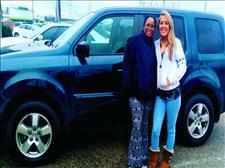 Ellen will work her hardest for you and anyone in your family to get a great & reliable car!! Ask for Ellen & she will make it happen. Today I had the best experience at All Approved, they worked with me (I've never had that experience buying a car) I got the absolute best affordable payment plan, Ellen (sales person) treated us like family and was excellent in helping us get the car we wanted. I highly recommend anybody who is looking for a car they will give you the best deal. I rate everybody 5 stars. I will be returning to purchase my next car. Be sure to come here and ask for Ellen. I love them. Great experience ,very helpful and understanding.... Shout out to Ellen and Bud... Go see them! I just Got approved For a car at All Approved Auto . I wasn't for sure if I was going to get approved walking in Because so many people said No. But I did and the car sales Ellen Lensing really nice and helpful she didn't let me leave without getting into a car . ?????????? Also I had a small minor issue with my car I told Matt and eElen and All Approved Auto and they Fixed it right away with no problem ????????. They are really nice people . 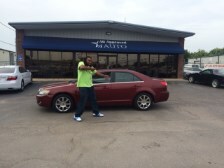 All Approved Auto is the best Car Dealership in the City !!!!. Five Stars for sure . 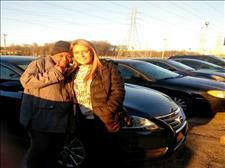 Ellen worked really hard to help me and my family get the absolute best car on the lot. 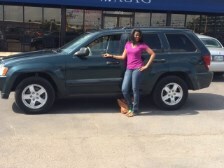 She was phenomenal with helping me get the SUV I needed for me and my children. Please come see Ellen and you will not be disappointed. She is the sweetest car sales associate I've ever met. Ellen was extremely professional and very friendly. She treated me and my nephew like family. She was able to get me in a newer car with low miles. I highly recommend this place, ask for Ellen and she will go out of her way to work hard for you and your fam. I meet with Ellen. She was great. She went out her way to put me in a car. I was very pleased with her personailty, not an average sales associate. Come visit Ellen and she will surely treat you like family and make sure you are in a very reliable, safe car for your family!! 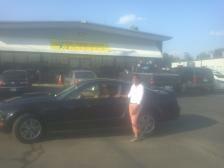 I came with my dad to find a good budget easy car ..we were sweetly approached by Ellen Lensing. She helped us get in an even better car than i originally looked at. She was so friendly, professional, and HONEST! If you need a good car i def recommend this lot. Also, thanks to Bud, Matt, and my girl Ellen Lensing. I AM SO EXCITED I CAME IN NEED OF A GREAT CAR AND THE CUSTOMER SERVICE AND TEAM MEMBERS WERE AWESOME I CANT STOP SMILING GREAT PRICE VEHICLES AND EVEN BETTER NOTES NICE RELIABLE CARS AND SMILING FACES YOU CANT GO WRONG AT ALL APPROVED AUTO!!!!! My experience was great they were very patient with me,I would refer anyone to them! It's a really good place to get a nice car without good credit like me. The people were really helpful and worked hard to get me financed! 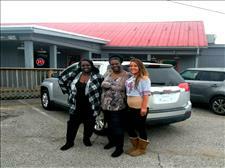 Congratulations to LACHRISTIE WRIGHT from Memphis, TN on the purchase of her 2007 Nissan Murano. We thank you for your buisness. 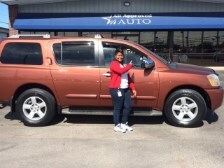 Congratulations to Tasha Puryear of Memphis, TN on the purchase of her 2004 Nissan Armada. Thank you for your business. 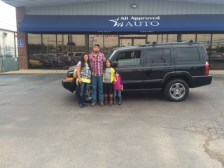 Congratulations to EMMANUEL GONZALEZ and his family all the way from Kennett, MO on the purchase of their 2006 Jeep Commander. Thank you for your business. 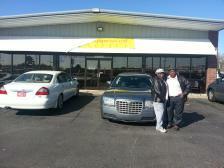 Congratulations to Timothy Hudson of Memphis, TN on the purchase of his 2007 Chrysler 300. Thank you for your business. 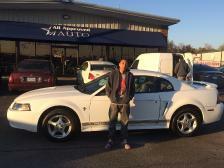 Congratulations to Jarmario Price of Cordova, TN on the purchase of his 2005 Ford Mustang. Thank you for your business. 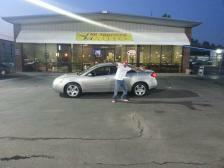 Congratulations to Donald Hodge Jr. of Memphis, TN on the purchase of his 2007 Pontiac G6. We thank you for your business. 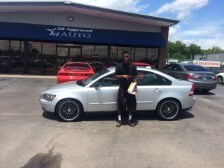 Congratulations to Montavious Mcnary of Memphis, TN for his purchase of the 2005 Volvo s40. Thank you for your business!!!! 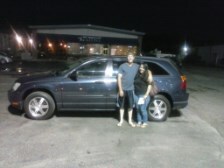 Congratulations to David Schurhamer from Memphis, TN on the purchase of his 2007 Chrysler Pacifica. 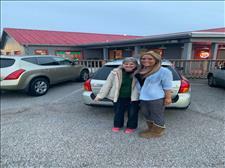 Congratulations to Taylor Kilpatrick from Munford, TN on the purchase of her 2006 Mercury Milan. 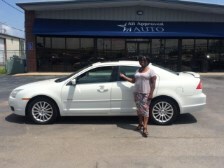 Congratulations to Chrystal Bass from Brownsville, TN on the purchase of her 2005 Volkswagen Passat. 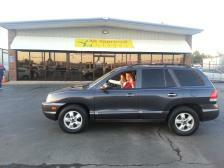 Congratulations to Kelley Evans of Cordova, TN on the purchase of her 2006 Jeep Grand Cherokee. Thank you for your business!! 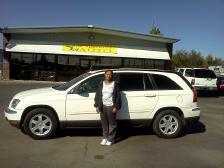 Congratulations to Viola Booze from Southaven, MS on the purchase of her 2008 Mercury Milan. Thank you for your business!! 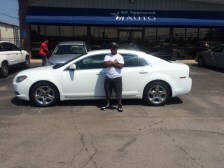 Congratulations to Darnell Cleveland of Arlington, TN on the purchase of his 2007 Lincoln MKZ. Thank you for your business!! 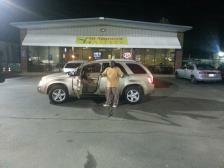 Congratulations to Kesha Stone of Memphis, TN on the purchase of her 2005 Nissan Murano. 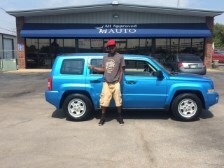 Congratulations to Tracy Foster of Memphis, TN on the purchase of a 2008 Jeep Patriot. 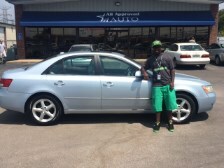 Congratulations to Jonathan Malone of Memphis, TN on the purchase of a 2008 Hyundai Sonata. Bj Brown and the rest of the staff here at All Approved Auto thank you for your business and look forward to assisting you with all of your maintenance needs in the future. 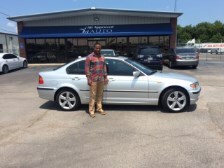 Congratulations to Kemual Bishop of Jackson, TN on the purchase of a 2005 BMW 325. 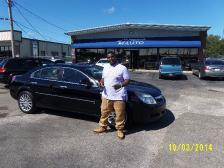 Bj Brown and the rest of the staff here at All Approved Auto thank you for your business and look forward to assisting you with your needs in the future. 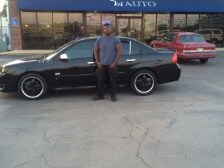 Congratulations to CORNELIUS WORTHY on the purchase of your 2007 Ford Five hundred. 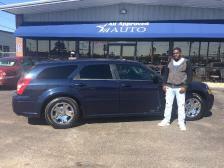 Congratulations to Anthony Simmons of Memphis TN for his purchase of the 2006 Dodge Magnum. We appreciate your business. 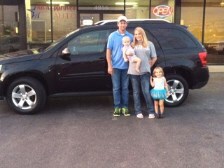 Congratulations to John Hoover, JR and his family on their purchase of a 2007 Pontiac Torrent. 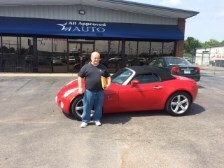 Congratulations to JACK HAM JR of Memphis, TN on the purchase of a 2006 Pontiac Solstice. Bj Brown, John Winters and the rest of the staff here at All Approved Auto thank you for your business and look forward to assisting you with your needs in the future. 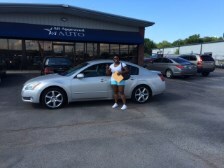 This what Shaquita had to say about her experience with All Approved Auto "Great service, good quality" "John is the man to see"
Darren came into All Approved Auto discouraged after being all over town looking for the Best Deal, Best Financing, and Best Service. He had not found any of those until he came to All Approved Auto. He was looking to get out of his Cadillac which was on its last leg. He found this 2005 Magnum RT and fell in love with it. Darren was still nervous if we could financing for him. He was happy when minutes later we came back with an approval. He was in and out in no time. When he picked up his kids that afternoon, the look of surprise on their face was priceless. He knew he had made a good purchase! 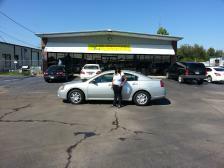 All Approved Auto was extremely helpful, they worked with me to help me obtain a vehicle that was stylish and affordable. I will definitely be refering them to others! Mr. McMinn was looking to get out of his 1994 Ford F150 and into a Late Model Truck with a Heavy Duty Towing Capacity. He had had challenges getting this accomplished at other dealerships. 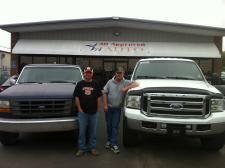 He called All Approved Auto and within a few days we had located a Fully Loaded 2006 Ford F250 Diesel Super Duty Truck. 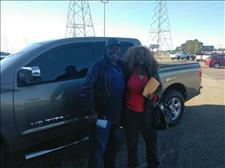 Mr. McMinn came in filled out his paperwork and we had him back on the road in his new truck within an hour. 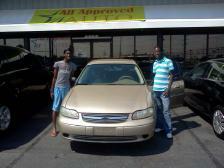 Congratulations to Julius Pugh of Memphis, TN on the purchase of his 2006 Chevy Malibu. 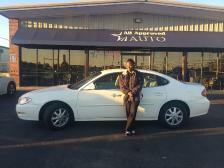 Congratulations to JOSALIND HARWELL of Memphis, TN on the purchase of a 2006 Nissan Maxima. 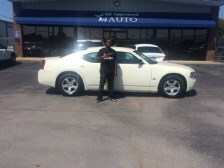 Bj Brown and the rest of the staff here at All Approved Auto thank you for your business and look forward to assisting you with your needs in the future. 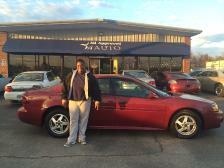 Congratulations to Ashley Mitchner on the purchase of her 2006 Pontiac Grand Prix. This is what Ashley had to say about her visit with us......."I found out about the dealership in the dashboard dealers magazine. I read some good reviews and needed some reliable transportation. Everything was fast, good, and reliable and the service was great!!!!! I was approved with no problems or hassle. 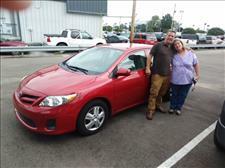 I would refer friends and family who are in need of a good reliable vehicle." This is what China had to say about her experience with us.... "I was referred by a friend and heard this was the place to go. They were very reasonable. 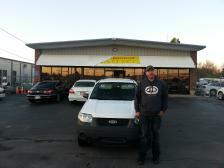 They were very acceptable and helpful"
The team at All Approved Auto was great. They helped me get back on the road and progressing in life with my 2007 Pontiac G6. If you're looking for a car you should come check the team out at All Approved Auto. After finding All Approved Auto online, I searched their inventory online and found a great selection. When I came into the dealership, all of the associates were friendly and welcomed me by name, which helped me feel comfortable. All Approved Auto was great about getting me into the car I wanted and got me in and out of the dealership quickly. I will definitiely recommend others to go and see them. 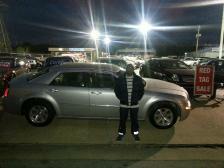 Congratulations to Dekaris Bailey of Jackson, TN on the purchase of his 2010 Chevy Malibu. On behalf of all of us at Al Approved Auto, we thank you for your business. 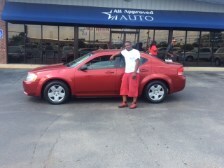 Congratulations to Wayne Thompson, JR of Memphis, TN on his purchase of a 2010 Dodge Avenger. 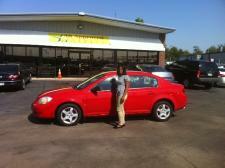 Congratulations to Merry Huggins on the purchase of her 2006 Nissan Altima. This is what Merry had to say about her visit with us...." Easy to work with and very professional. A ll 10's across the board." This is what Collin had to say about his experience with us... "There was nothing they could have done to make my experience better. 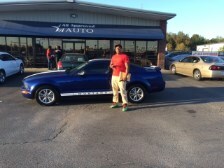 I am glad tat I was able to get financed for the car I wanted." My experience with All Approved Auto was quick and simple, I was on and off the lot in no time with the car I wanted. The dealer I worked with was very negotiable on my monthly payments. I suggest asking for Monique! I had a great experience dealing with All Approved Auto. 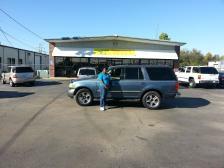 It is a great place to purchase your vehicle. 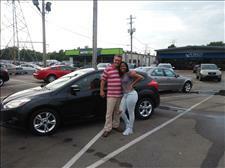 Call John Winters and he will get you approved and into the car you want! 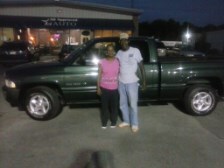 Congratulations to Kenneth Triplett from Memphis, TN on the purchase of his 1999 Dodge Ram. 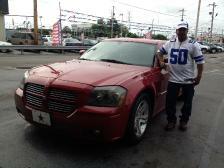 Congratulations to Kenton Taylor of Memphis, TN on the purchase of his 2008 Dodge Charger. We thank you for your business. 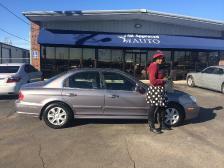 Congratulations to Harriett Williams of Memphis, TN on her purchase of the 2002 Toyota Camry. We thank you for your business. This is what Harriett had to say about her visit with us...."10's across the board, not pushy and very understanding. Very patient." This is what Brittney is saying about her experience with us...."I saw the vehicles in the magazine and I heard great things about All Approved Auto. On a scale from 1-10 I would give my salesperson a 100 and the finance guy a 100 he broke the meter. I recommend anyone to All Approved Auto, good and lovely sales associates. " "I dreaded car shopping. Seriously. I HATE SHOPPING! After spending a few weeks looking for the most reliable and affordable mid size SUV and experiencing some less than acceptable attitudes and being shown some unbelievably expensive and way out of my budget vehicles, I began to remind my husband how much I did not enjoy this shopping experience. One of the vehicles at a neighboring dealership that we were shown was completely destroyed inside! I quickly realized it was a ploy when they began to suggest much more expensive vehicles and loans. This lead me to continue my search with great skepticism. Here at All Approved Auto Inc. things were very different. Excellent Service, personable people, and value for the money. They listened and they came through with exactly what I was looking for! Thank you, AAA... I will recommend your dealerhsip to others." This is what Jeffrey had to say about his experience with us..."I picked All Approved Auto because of the confidence they give. I would rate them a 10 on everything. 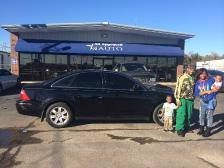 All Approved had extraordinary service and genuinely kind salesman and staff. " From the first time I talked to John on the phone he was very professional. He did not give me the run around and he listened to evrything I had to say. When I got my car I was so happy they really made me feel like I had made the right choice buying my car from All Approved Auto. I will tell everyone that is looking for a car to go to All Approved Auto. They are the BEST! 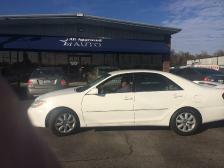 I didnt think I would ever be able to purchase a car because of my credit, but Monique and the staff at All Approved Auto worked with me and got me into the car I wanted. 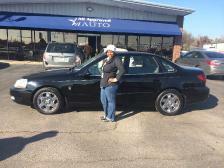 I reccommend anyone who has had credit issues and needs a new car to come see the team at All Apporved Auto. 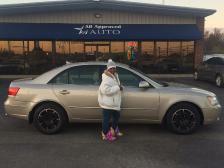 This is what Nacavia is saying about doing business with us... "Great deals and great customer service"
Congratulations to Chiquita Holmes of Memphis, TN on the purchase of her 2005 Hyundai Sonata. We thank you for your business. I went to a few different car lots and didnt like what they offered me. John worked with me and got me approved in a nice Expedition that worked for me and my family. Thank you All Approved Auto. 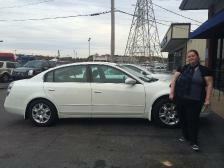 Congratulations to Jessica Osborne of Memphis, TN on the purchase of her 2005 Buick Lacrosse. We thank you for your business. All Approved Auto was very friendly. They will work with you in any way they can to get you into a vehicle with little money down. Buying a car from All Approved Auto is easy! The staff was Great! Call John today! 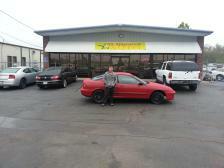 I had a great time at All Approved Auto. When I came into the dealership, I had no problem finding and getting approved for the car I wanted. John and Brian are great people and I will send anyone that needs a car to All Approved Auto. They have my Approval! 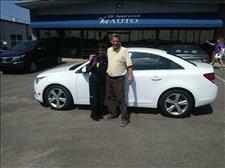 Congratulations to Cathy Tyler of Memphis, TN on the purchase of her 2009 Hyundai Sonata. We thank you for your business. All Approved Auto's employees are great! 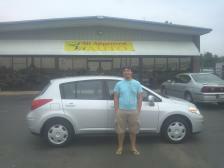 They were professional, friendly and courteous, and I got a great deal on my vehicle! I woud recommend them to other customers who are looking for a quality car at a great price. I found my vehicle on www.allapproved.net. I filled a credit application out online and within minutes I got my approval. 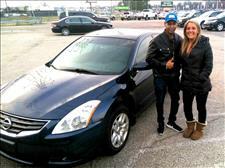 My salesman, John was excellent and my experience will definitely bring me back. I would like to express my grattitude to a professional and outstanding coorporation. First, to applaud the employees, especially Sam! He is an awesome salesperson. Second, your accomadations and clean facility, namely your bathroom was very sanitary. Third, we have tried for 6 months to find a vehicle in the Tri-State area but were unsuccessful until we went to All Approved Auto! The process was very simple and fun! Thanks a Million Sam and All Approved!! Thank you to All Approved Auto for my New Ford Escape!! The deal and service was top notch. 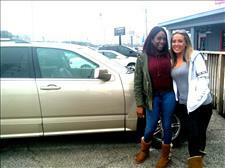 My Salesperson Sam gave amazing service!